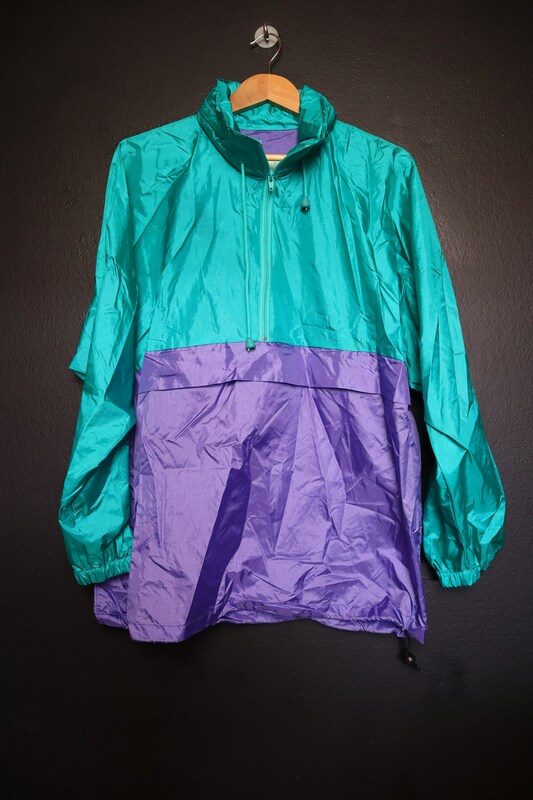 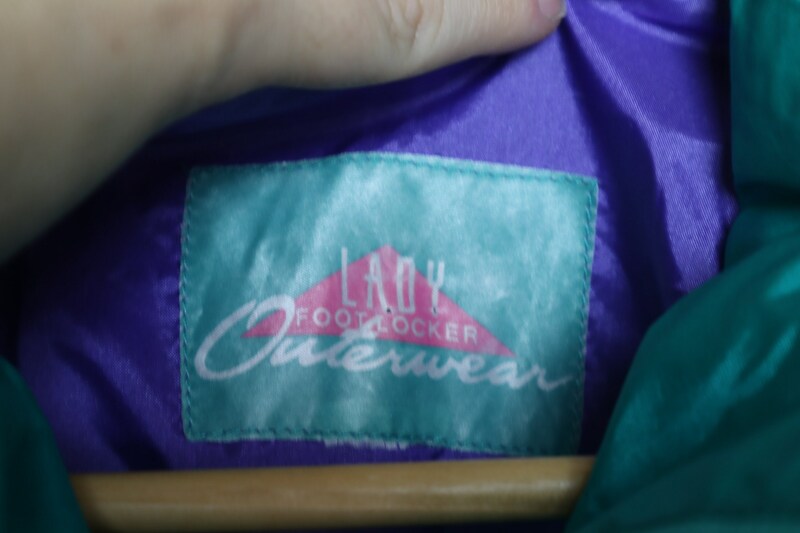 Lady Foot Locker 1990's Vintage Pullover Windbreaker, no size tag, please see measurements. 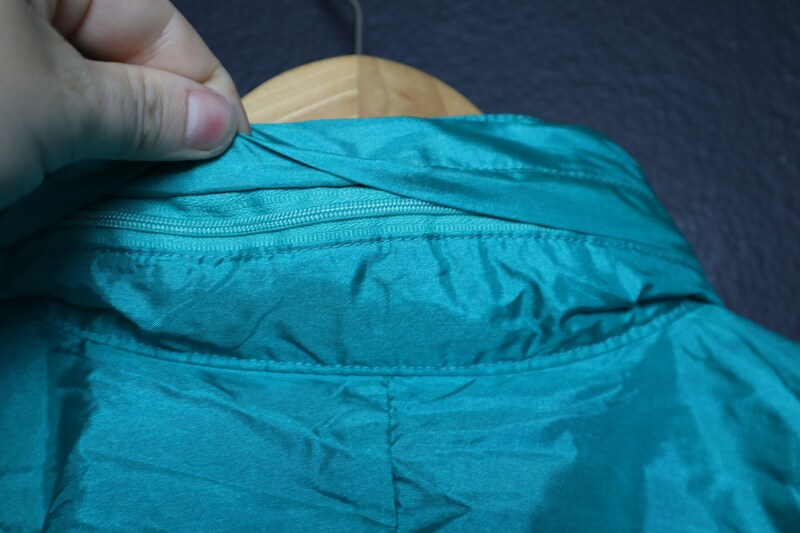 Zippered pouch on the front and hood is tucked in the collar. 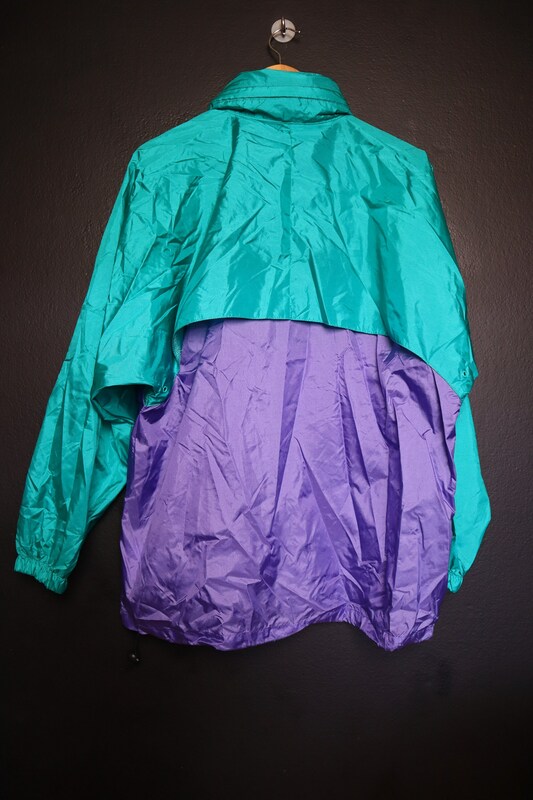 This jacket is in good vintage condition.